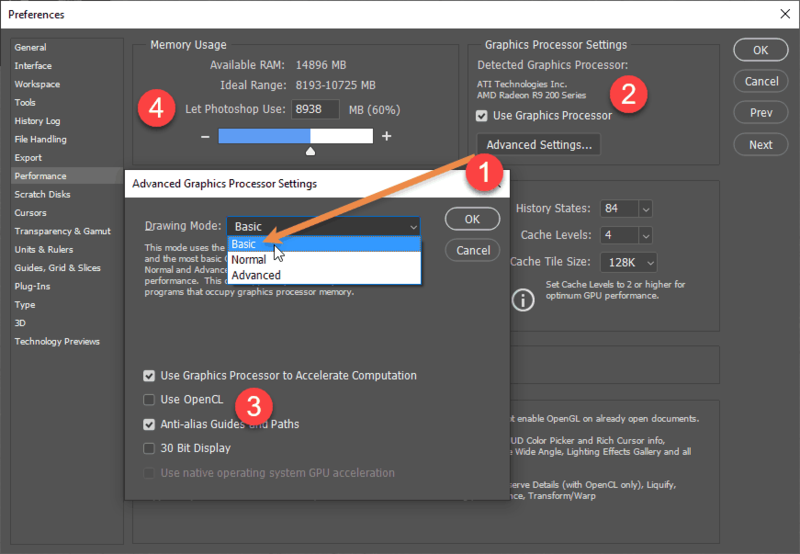 It’s best to try changing just one of these settings at a time. See if it makes a difference. If not, set it back to what it was and try changing another setting. If you want to see how my brushes perform for me, you can look at any of the video popups that you see when you hit the ‘preview’ button as you hover over any single brushes in the Shop. Let me know in the comments below if you have a solution that I missed! 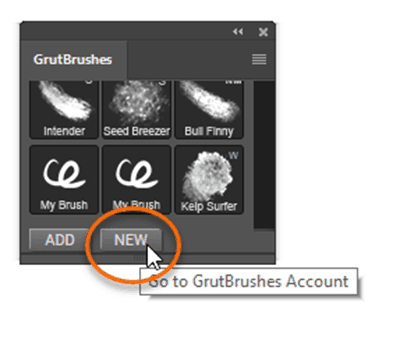 Did you know that you don’t have to leave Photoshop to install the latest GrutBrushes? 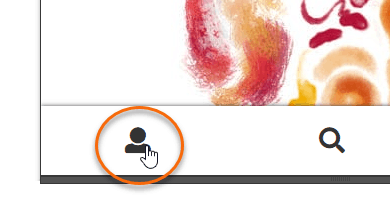 This time, Click on the ‘new’ brush button. enter your login name and password. If you click ‘remember me’ it will log you in automatically next time. This will play a quick video popup of the brush in action! As long as you’re a member, the prices on all the single brushes will be reduced to zero! Now you can select it and it’s ready to use. Keep browsing the catalog and installing as many brushes as you like. and you can choose to either cancel or install it again by overwriting it. As the warning explains, I already had this brush. 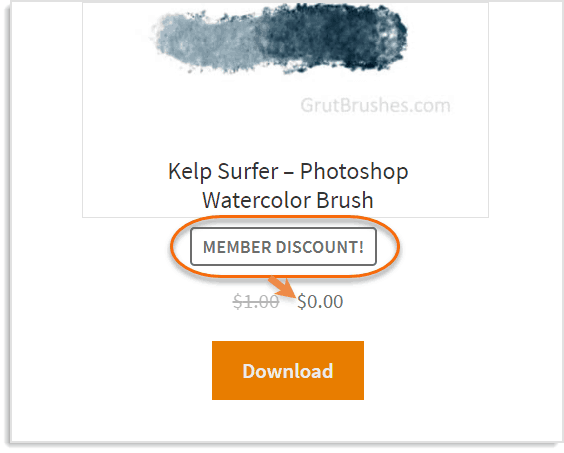 This works with almost any brush download button on the site, even single brushes in your account downloads page. If you prefer, you can always log into the website on your regular browser. Download the brushes there and install them to Photoshop. 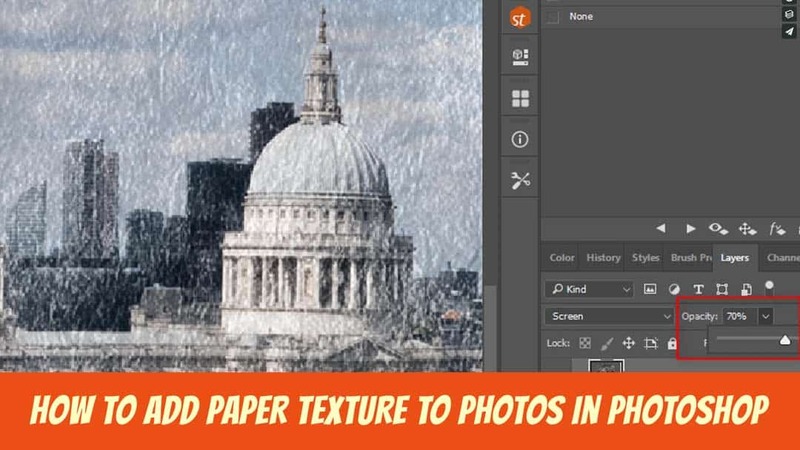 In this 2 minute Photoshop tutorial I show you how you can easily add a realistic paper texture to your photos in Photoshop using GrutBrushes Art Surfaces. They are not just for digital painting! All the paper textures shown in the video are now available in the shop but if you haven’t had a chance to try one yet, I can email you one right away, just click below and tell me where to send it. Sign up to be on the Art Surfaces list and I will send you one for free! 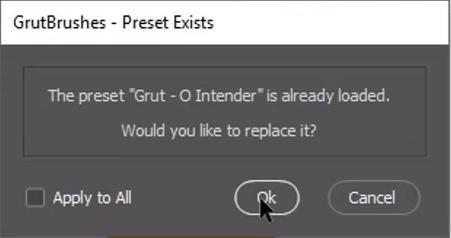 Q: Can I use GrutBrushes on an iPad Pro? 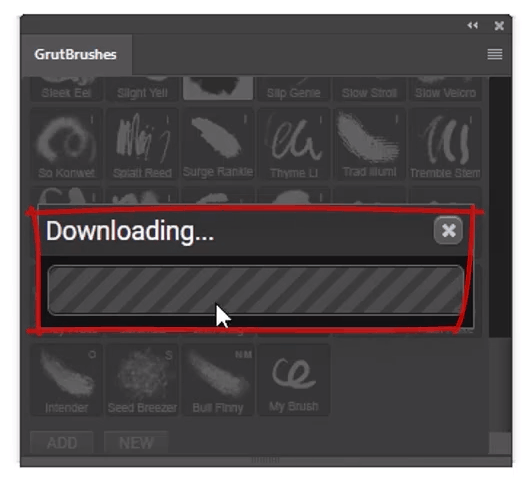 You can import any of the GrutBrushes TPLs right now, but you probably don’t want to import them one at a time. So, in this super-quick video tutorial I show you how to export a batch of TPL brushes into one file all at once. That way you can just upload that single TPL containing all your favourite GrutBrushes to DropBox, iCloud or whatever you use to get files onto your iPad. Once you have it in the cloud you can import it into Adobe Sketch or Artstudio Pro (shown below) Someday I hope to make a video tutorial showing the whole process, but until then, both apps do currently have information in their documentation on how to import Photoshop brushes so have a look around. Here I am using the GrutBrushes pattern brushes on the iPad pro! Using GrutBrushes with the Apple Pencil is a dream. There are dozens of apps that claim to be able to import Photoshop brushes but what most of them mean is that they can import the tip shape, but that’s just the most visible but probably the least important feature of a good digital brush. 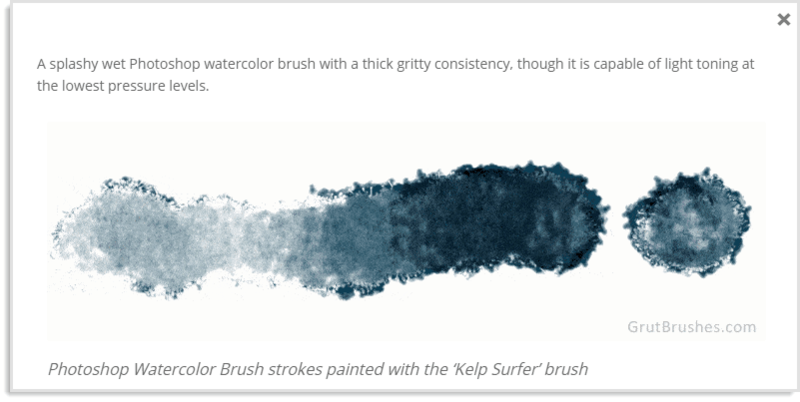 GrutBrushes are all about the dynamics…HOW the brush behaves, not what it’s brush tip shape looks like. Unless an app imports all the brush dynamics it’s really not importing the brush. 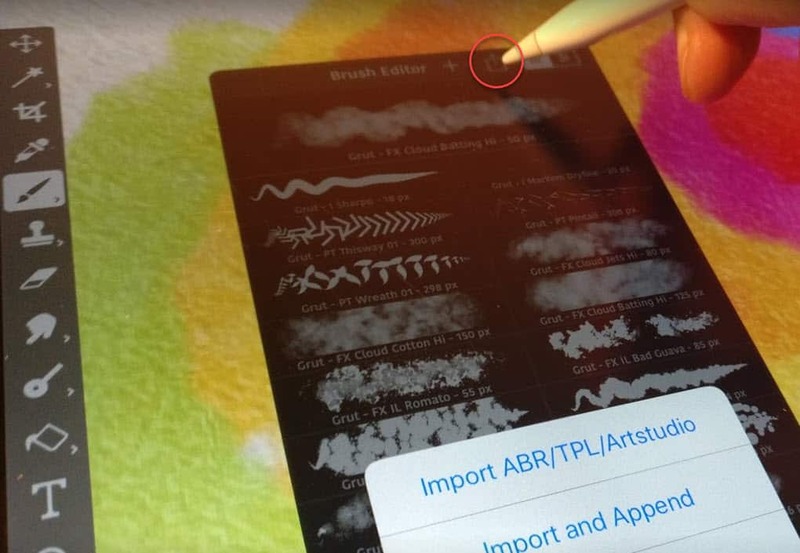 Adobe Sketch and Artstudio Pro are currently the only apps that can import GrutBrushes Photoshop brushes. If any new apps come along that claim to be able to import Photoshop brushes and all the brush dynamics please let me know, I’ll be the first to buy it and test it out. If, like me, you loved being able to select any tool (usually the eraser) and then pick from your most recent brushes to convert a paint brush to an eraser, or a mixer brush, or a smudge tool with all dynamic setting intact you can’t do this anymore with the latest Photoshop update (v 19) You can still use the clear mode trick to convert your brush to an eraser which I go over in the aboce video inclusing the keyboard shortcuts. I’m giving away a free set on Tumblr every week for the rest of September Reblog this post on tumblr for a chance to win. The winners will be announced below. starting on the 18th!